Sometimes I feel like I just want to lock my kids up…well, not so much lock up as FREEZE. I really love this age…they are still sweet and love to snuggle mommy and daddy, but they are becoming more and more independent. I am enjoying the fact that they want to help me around the house…setting the table, putting in new trash bags…simple stuff, but it is great. Daley’s favorite “job” is washing and cutting the strawberries for dinner. She brings over the “helping stool” and grabs a very dull butter knife and starts taking the tops off of the strawberries. I hope she always want to help…I could use a little chef in the kitchen! 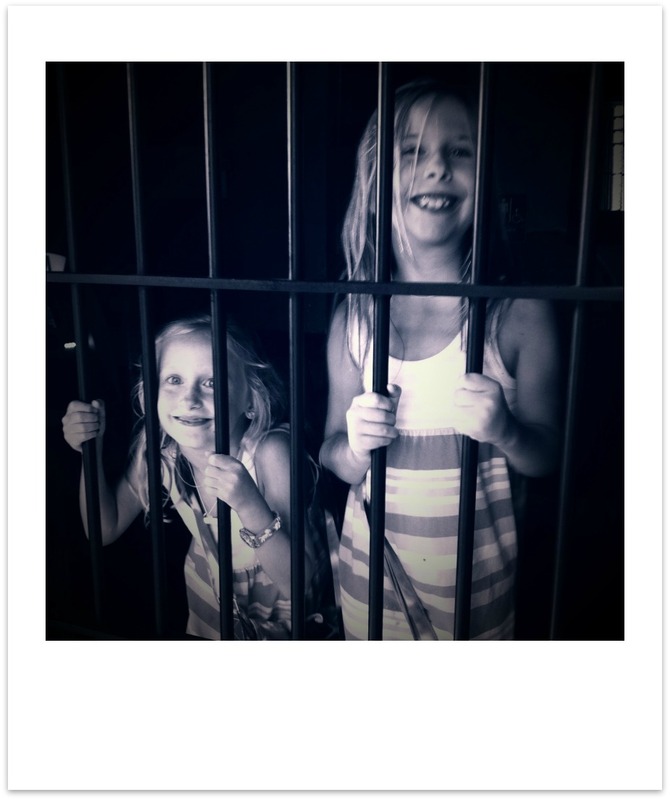 * This photo was taken in a restaurant called, Twisted Taco…yes, they have jail cells you can eat in…random but fun! Next > Summer Break Was Just Right!